Deposit checks 24/7, without having to drop off a deposit bag! How do I make a deposit if I cannot access CEFCU Check Capture? A deposit can be made at any Member Center, night drop box, by mail, or at any ATM. What do I do with a check after it is scanned? CEFCU requires you to securely store the original check for a reasonable amount of time but not fewer than 90 days. After that time, the checks may be destroyed. Can I access more than one Business account? Yes. 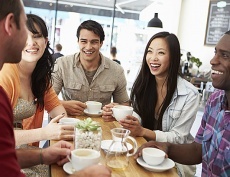 Multiple CEFCU Business accounts can be accessed by business members for no additional fees. The only time additional fees will be assessed is if you have multiple scanners. Funds generally are available the same day. Any deposits after 5 p.m. (CT) Monday to Friday and after 1 p.m. (CT) Saturdays are credited the next business day. Can I deposit anytime, day or night? Yes. Deposits can be made anytime. Same-day credit is given to all deposits made by 5 p.m. (CT) Monday to Friday and by 1 p.m. (CT) Saturdays. What are the minimum computer system requirements? Your computer will need to meet the following requirements to use the system. No. CEFCU provides a scanner for use with CEFCU Check Capture. If you already have a scanner, contact us to verify compatibility. How much does CEFCU Check Capture cost? The initial cost is $350 (one-time licensing fee) and $35 per month per scanner/software installation. There is no charge for each scanned item or number of deposits. A three-year agreement is required with automatic renewal each year after. What is CEFCU Check Capture? CEFCU Check Capture is a service for CEFCU business members. It allows those members to scan checks and create an electronic deposit that is transmitted from your computer via a secure internet connection to CEFCU. It eliminates the need for you to physically deliver deposits. Can I sign up for CEFCU Check Capture? 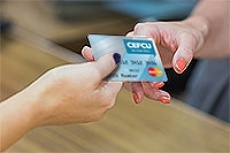 CEFCU Check Capture is available only to business members. If you are a business member, you will need to demonstrate financial stability and successful business history in order to be approved for this service. How do I apply for CEFCU Check Capture? If you are a business member, you would need to complete a CEFCU Check Capture Application and Information Sheet along with a Personal Financial Statement. Contact us for more information or to get started. Additional financial information may be required. Find out about the same-day, payment, and transfer services we offer for your business. *Eligibility requirements subject to approval. The initial cost is $350 (one-time licensing fee) and $35 per month per scanner/software installation. There is no charge for each scanned item or number of deposits. A three-year agreement is required with automatic renewal each year after. Minimum computer system requirements apply. 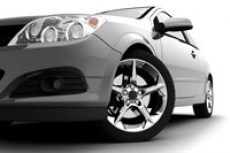 **Same-day credit is given to all deposits made by 5 p.m. (CT) Monday to Friday and by 1 p.m. (CT) Saturdays. Windows® is a registered trademark of Microsoft Corporation in the United States and/or other countries.